2014 FOX FALL ECO CASINO PARTY: Behind the scenes during the FOX FALL ECO-CASINO presented by Ford and Xfinity benefitting Habitat for Humanity of Greater Los Angeles, Heal the Bay, The Nature Conservancy and the Environmental Media Association at The Bungalow in Santa Monica, CA on Monday, Sept. 8. Tichaona Brown and Tabrese Wright, former payroll managers at Fox’s Manhattan headquarters, worked on what they call the “infamous” second floor, alongside celebrity anchors and senior executives, including Roger Ailes, who is not named as a defendant in the March 28 federal complaint. The only individual defendant is Judith Slater, a former senior vice president and controller, who worked for Fox for 18 years. The second floor of Fox’s building at 1211 Avenue of the Americas earned a blot on its reputation after more than 20 other female employees — including Gretchen Carlson and Megyn Kelly — accused the new organization of a culture of sexism that went all the way to the top, to former CEO Ailes. “Now, the top-down racial harassment at Fox is exposed,” their attorney Douglas Wigdor said in the 30-page complaint in Bronx County Supreme Court. Brown and Wright say Fox executives “intentionally turned a blind eye” as Slater indulged in bigoted rants against black workers. Putting on a stereotyped accent, Slater mocked black employees by pronouncing words such as “mother,” “father,” “month” and “ask” as “muva,” “fava,” “monf,” and “axe,” according to the complaint. Slater worked for Fox for nearly two decades before the network fired her on Feb. 28. The lawsuit casts Fox’s statement as a belated attempt to get ahead of a story that the network knew about for years. A Fox News spokeswoman disputed this, in an email statement. Brown and Wright say that black people were not the only minorities targeted by Slater’s rants. Slater called her daily commute the “Bombay Express” because of the Indian people living in New Jersey, commented that Chinese men had “small penises,” and described day laborers as “cheap Mexicans,” according to the complaint. Brown says that she was fired in retaliation for suing, though Fox News said in a email that she has not been fired. Fox said that Wright has the same salary, title and benefits in her new position. 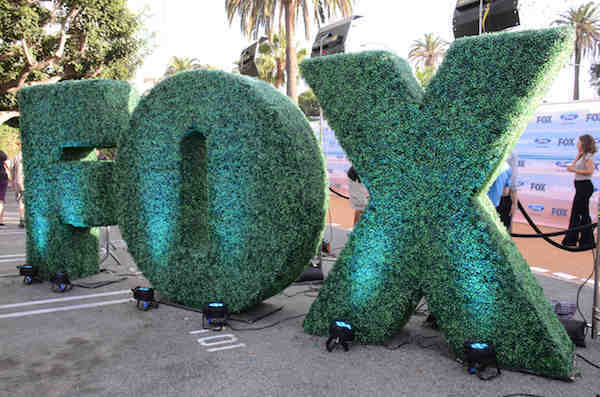 The women seek unspecified punitive damages against Twenty-First Century Fox, Fox News and Slater for four counts of discrimination and retaliation. On Monday, the day before the lawsuit was filed, CNN reported that federal prosecutors offered Fox’s former chief financial officer Mark Kranz immunity in their investigation of sexual harassment accusations against Ailes. CNN attributed that information to the Financial Times.